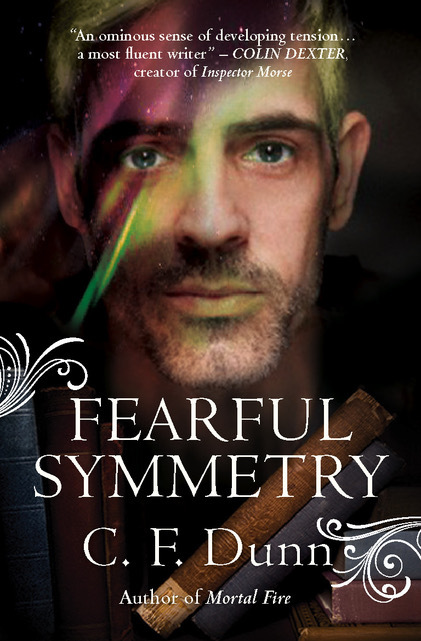 Fearful Symmetry is the thrilling conclusion to The Secret of the Journal series. In the fourth book of The Secret Of The Journal series, historian Emma D’Eresby has done everything she can to put the past behind her. Now she has every reason to look forward to a future with Dr. Matthew Lynes and his family in the beautiful state of Maine. But, in making peace with her past, she has to face uncomfortable truths in the present. 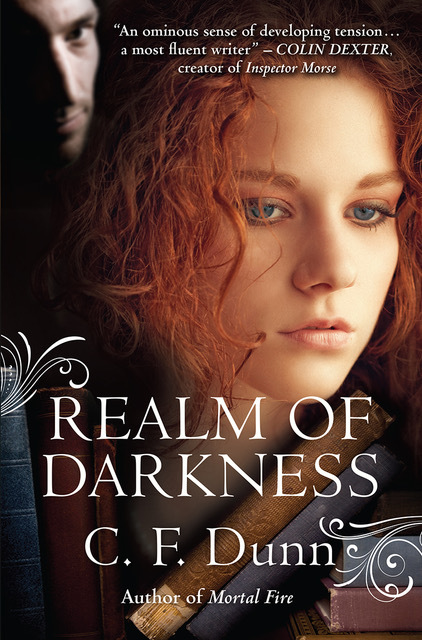 As a shadow from her undergraduate days in Cambridge threatens her happiness, history catches up with terrifying results. “An ancient secret and an eternal love are intelligently woven through this addictive series.”author Fiona Veitch Smith, The Jazz Files. ‘An unexpected movement caught my eye as a face appeared at a first-floor window. Ghost-pale and with silver-white hair, hollow eyes punctuated its skull. The disembodied face hovered momentarily before retreating into the darkness. I Blinked. Emma has discovered Matthew’s secret, but this is only the beginning. In order to prepare for the future, she must also understand the ghosts of his past. ‘An addictive mix of suspense, romance, and the supernatural.’ Janey Fraser, Guilty. 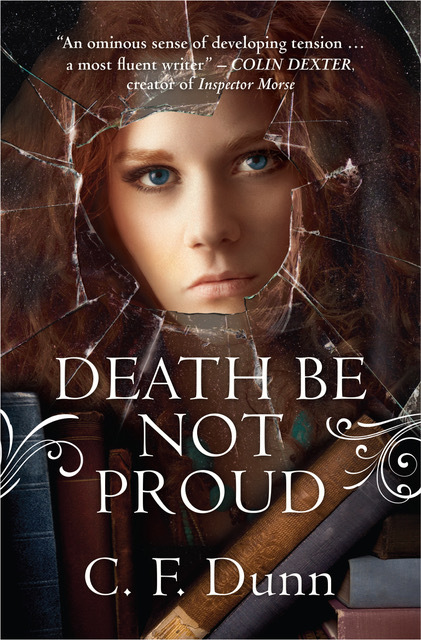 Following the vicious attack that nearly killed her and reeling from the discovery that mysterious Matthew Lynes – the man with whom she has inadvertently and irresistibly fallen in love – is lying, historian, Emma D’Eresby flees the college in Maine for her ancient home town in England. With her she carries a precious Seventeenth-century journal and the secrets bound within its pages. Once home, she comes to terms with a shattering revelation, and, just when she thinks she has the answers, faces a future where past and present collide. 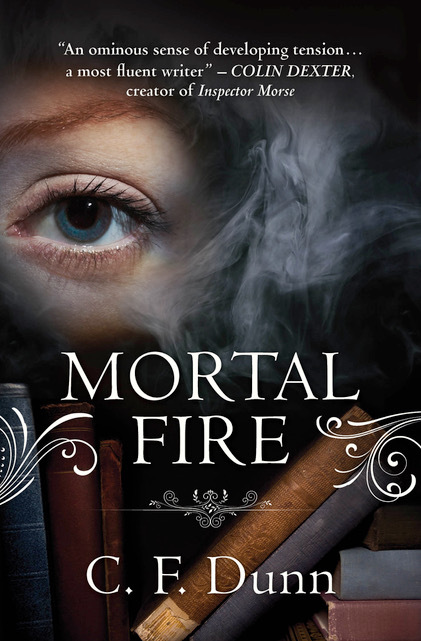 Set in England and in Maine, USA and steeped in history and atmosphere, Death Be Not Proud – the second book of The Secret Of The Journal series – continues the romantic mystery begun in Mortal Fire as Emma and Matthew reveal the turbulent truth of his past. ‘Dunn vividly evokes a range of characters and the tense and tender relationships between them.’ Fay Sampson, award-winning author, The Hunted Hare. ‘It must have happened only minutes before. 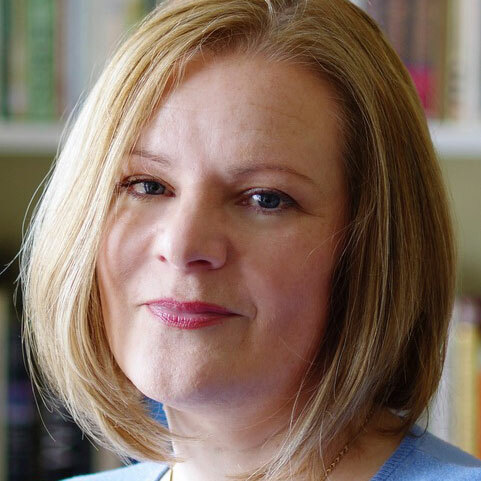 In this award-winning debut novel and the first book in The Secret Of The Journal series, historian, Emma D’Eresby escapes the predictable safety of her life in Cambridge to seek the journal – the Seventeenth-century diary of an obscure Englishman – a portion of which was left to her by her grandfather. Secreted in the library of a university in Maine, USA, the journal is Emma’s lifelong obsession but, as she takes up the year-long teaching post at the university, she realises that the journal has a rival as she is irresistibly drawn to the enigmatic figure of surgeon, Matthew Lynes. 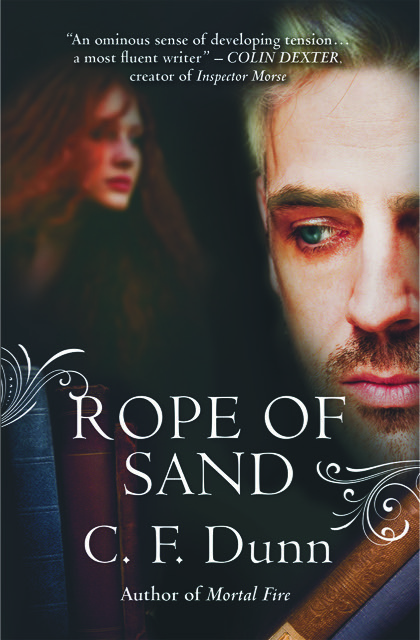 As Emma evades the romantic advances of seductive colleague, Sam Weisner, she becomes aware of a more sinister presence haunting the university. Attacks on woman heighten tension on campus and Emma fears that she is the focus of a stalker’s attention. Suspense mounts on the eve of Halloween with horrific consequences; but where there is darkness there must also be light. Who is Matthew Lynes and what is his connection to the journal?